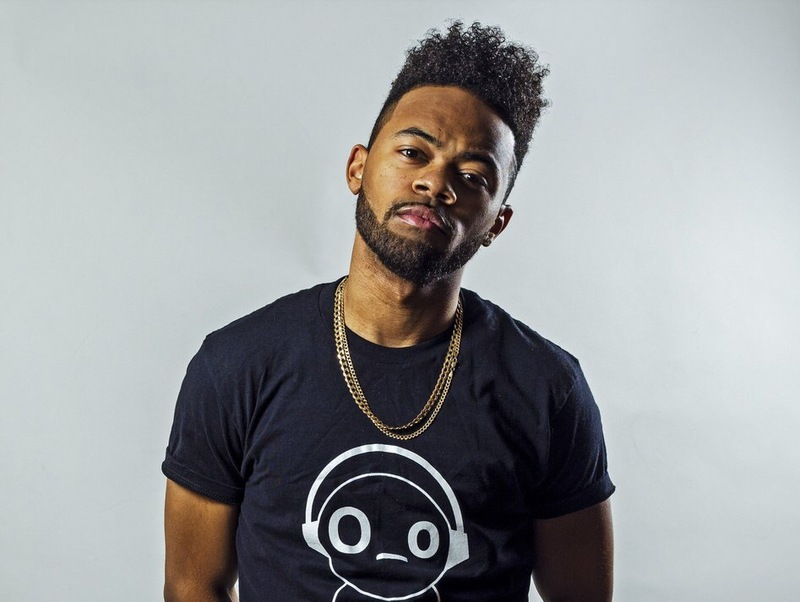 Brooklyn, New York native Devvon Terrell began his career just like many other aspiring singers — uploading videos of remixes and covers of current hit songs onto YouTube. But by adding his own originality to the songs, he was able to separate himself from the other online competition. Now, with over 100 million YouTube views and 1.6 million Facebook followers (yes, you read that right), Devvon Terrell is no longer an Internet sensation but a successful recording artist. Terrell dropped his latest album, “Weird Nights,” this past October and is now gearing up for his 2018 national tour. In November, I had the opportunity to attend Devvon’s “Weird Nights” album listening session here in Detroit. In a studio full of radio DJs, bloggers, rappers and industry heads, Devvon shared cuts from his album and the stories that inspired them. Oh, and complimentary bottles of Martell were on deck! I was immediately impressed by how dedicated Devvon is to his craft. This is a man who writes his own songs, directs, shoots and edits his music videos, and mixes and masters all of his music. It is that type of drive that has enabled Devvon to obtain such success in such a short period of time. When I first met Devvon, his genuinely cool personality automatically made me feel like I had known him for years. As the self-proclaimed “Living Weirdo,” he has taken pride in living his life outside of the norm and not complying with popular opinion. He speaks for the kids who do not necessarily fit in. Or as he puts it, the people who were picked last for basketball. He and his fans speak the same language. In a generation where everyone is trying to “put on” for the Gram, Devvon makes it OK for people to live comfortably in their own skin. He has taken the Weirdo brand and expanded it into a successful clothing and merchandizing company. According to Devvon, each track on the album represents 13 dreams and thoughts that occurred in 13 separate nights. These are thoughts that entered his head as he lay in bed contemplating on his experiences. In this case, Devvon’s brain reminisced about conversations with friends, past girlfriends, and lessons taught by his mother. The album is hip-hop and R&B with a sprinkle of pop. (He calls himself a “spinger,” a mix of spitting and singing). It has a modern, youthful sound that music listeners of today can easily get into. The album does not rely on any gimmicks because Devvon’s talent speaks for itself. Devvon Terrell will be back in Detroit and live in concert on Feb. 13 at the Shelter. General and VIP Meet and Greet tickets are on sale now. “Weird Nights” is available on all music streaming outlets.